Part of the luxury of being Pep Guardiola is, evidently, confidence of the sort that lets you take risks that others might not. 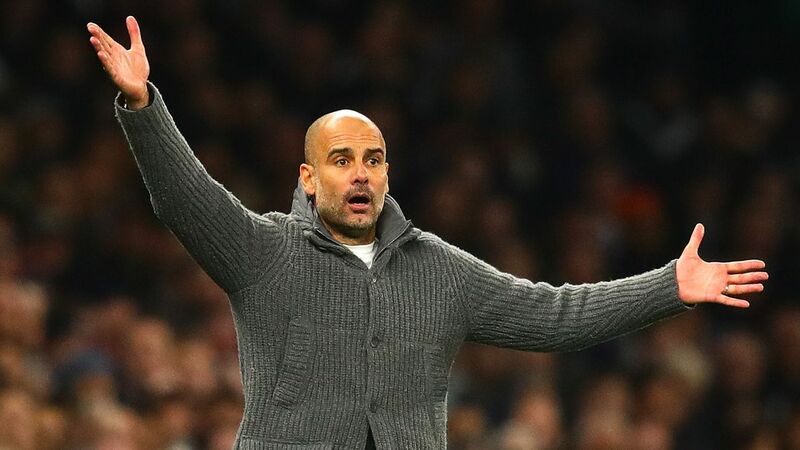 On Tuesday, his Manchester City side lost at St. James' Park against a Newcastle team that had previously won just three of 12 home Premier League games. In those circumstances, page 17 of the "Proper Football Man's Coaching Manual" tells you to play it safe and get back to basics in your next game which, incidentally, was by no means a gimme. Arsenal may be rebuilding, but they have plenty of individual match winners and, in Unai Emery, a clever tactician on the bench. 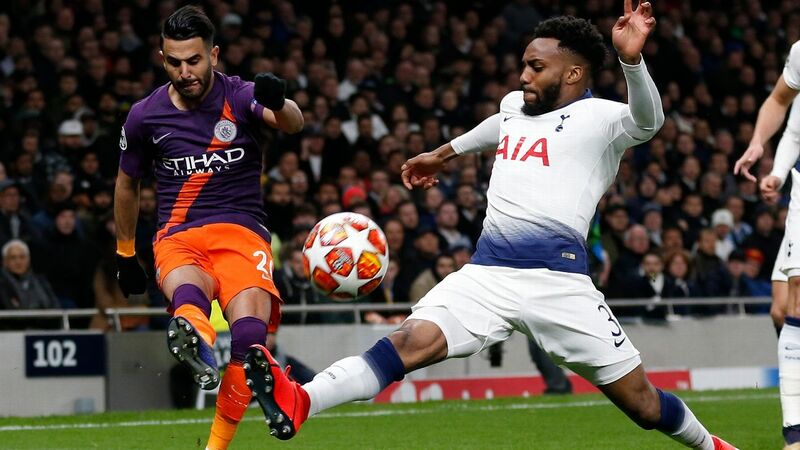 Conventional wisdom and basic risk-reward suggested the downside of a second consecutive setback would be damaging to City, but Pep does not often do "conventional wisdom," which is why he played Aymeric Laporte at left-back -- a move that has had mixed results in the past -- while starting Fernandinho at center-back and deploying Ilkay Gundogan in front of the back four. Such a selection, against a team that plays two genuine strikers in Alexandre Lacazette and Pierre-Emerick Aubameyang, is counterintuitive, but Guardiola trusted his instincts and was vindicated with a 3-1 victory. 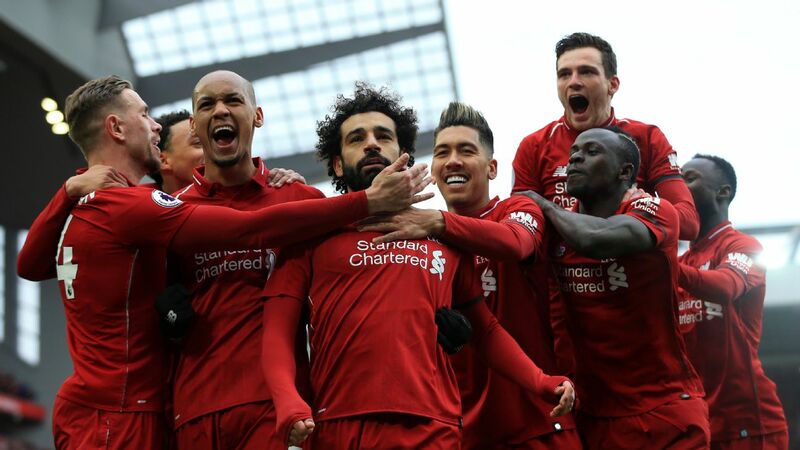 It is not as if City won because of those moves, but they did send a message -- to his players and, perhaps, to Liverpool manager Jurgen Klopp as well -- that Guardiola's self-belief knows no end; not many would have rolled the dice like that. As for Arsenal, a long injury list that includes Hector Bellerin, Sokratis Papastathopoulos, Rob Holding and Henrikh Mkhitaryan is a huge mitigating factor, but seeing the likes of Aaron Ramsey, Mesut Ozil and Granit Xhaka on the bench was further evidence that Emery is determined to turn the page. We also saw Denis Suarez for the last 25 minutes, and it will be interesting to see in what role Emery sees him. 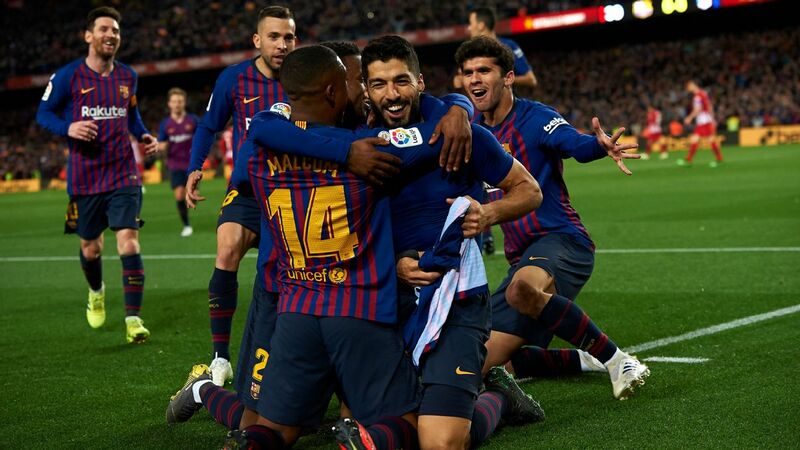 It will require patience: Suarez played 90 minutes of league football just once in 2018, and his cameo against City represents the longest he has been on the pitch -- other than two games against third division Leonesa in the Copa del Rey -- since last May. Ivan Rakitic was bullish after Barcelona's 2-2 draw against Valencia, saying his team "dominated" to the point where it looked like a "handball match." (I am not particularly familiar with handball, but I assume he means one of those sequences were one team sits back and the other keeps passing the ball around the perimeter). However, the thing about that dominance is that it really only manifested itself once Barca were 2-0 down at home and Valencia opted to play on the counter and even then, the performance was nothing to write home about. Arturo Vidal, Philippe Coutinho and Luis Suarez were all subpar, meaning that the difference maker was -- who else? -- Lionel Messi. 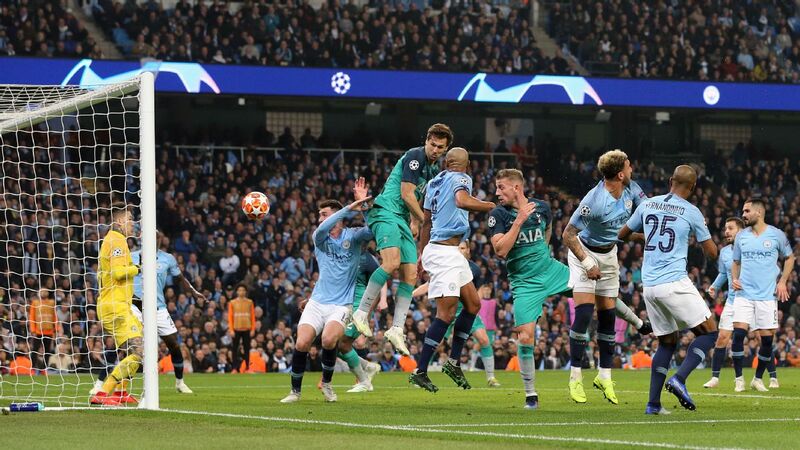 His second-half equalizer, which came with a shot only he could see and only he could execute, will go straight into his future highlight reel. 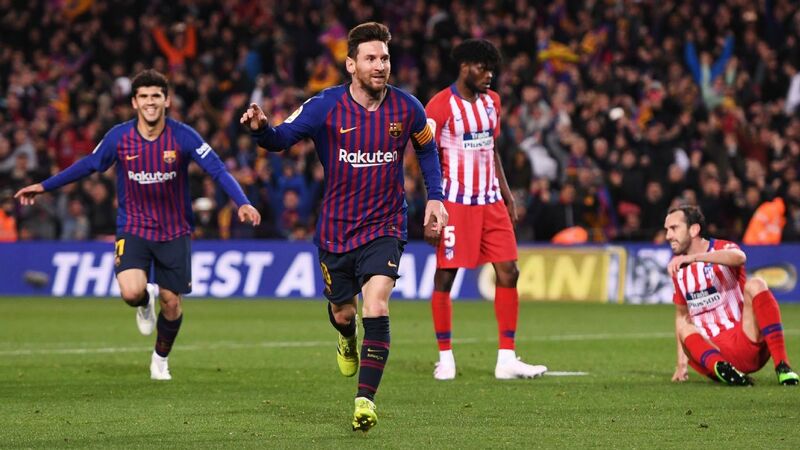 The Spanish champions are slipping into Messi-dependency territory, and that must be a concern since the knock he took from Toni Lato leaves him doubtful for the midweek Clasico vs. Real Madrid in the Copa del Rey semifinal first leg. Incidentally, you wonder to what degree Barca's players were looking beyond Valencia; Jordi Alba, Clement Lenglet and Arthur were on the bench. Atletico's defeat at Real Betis mitigates the damage somewhat, but Barca did not know on Saturday what would happen 24 hours later. All they knew was that Diego Simeone's crew had a chance to pull within three points, with a head-to-head at the Camp Nou yet to come, as well as away trips to Sevilla and Real Madrid. It is not Ernesto Valverde's fault that it is so easy to let Messi carry the team or that Ousmane Dembele got hurt just as he was starting to carry more of the attacking load. However, after 18 months under this manager, it sometimes feels as if Barca are going backwards in terms of performance. 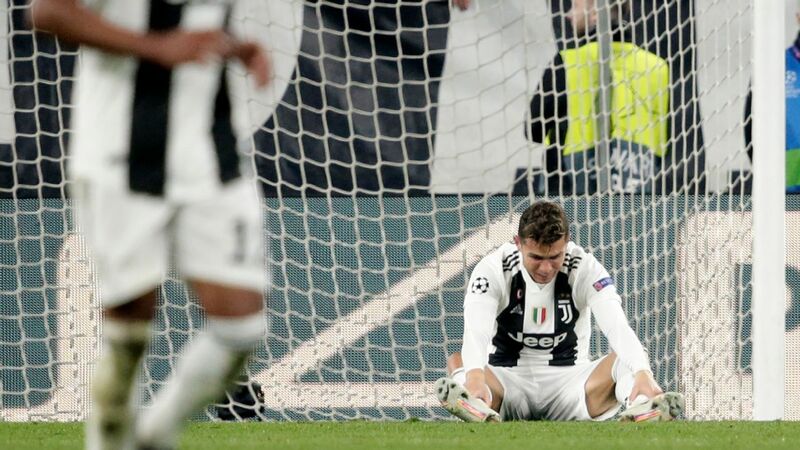 OK, when was the last time you saw Juve give up a 3-1 lead and drop points? At home? In the final 16 minutes? Against a team from the bottom half of the table? Nope, me neither. Credit Parma for believing and executing in Saturday's 3-3 draw. Folks will point at a Juve back four that consisted of the much-maligned Daniele Rugani, veteran Martin Caceres on debut in his third stint at the club, Leonardo Spinazzola making his first league start since March and Joao Cancelo, who is basically a winger playing full-back. Would they have been better with the injured Leo Bonucci or Giorgio Chiellini (or Medhi Benatia, who moved to China)? Sure, but the real issue was the way their intensity dropped at the end of the match, and that is not just down to the defence. Coming a few days after his side was knocked out of the Coppa Italia by Atalanta, Max Allegri was looking for a reaction. In fairness, for most of the match he got one, but that ending was distinctly un-Juvelike. 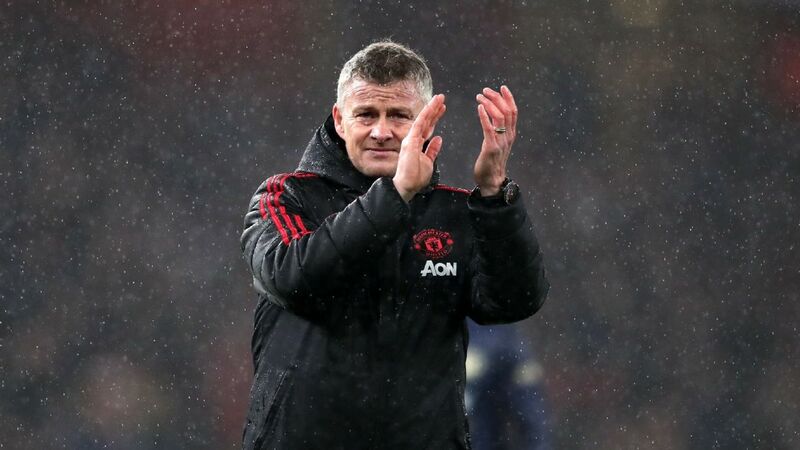 After nine wins and a draw in his first 10 games, the debate over whether Ole Gunnar Solskjaer should become Manchester United's permanent manager will roll on. 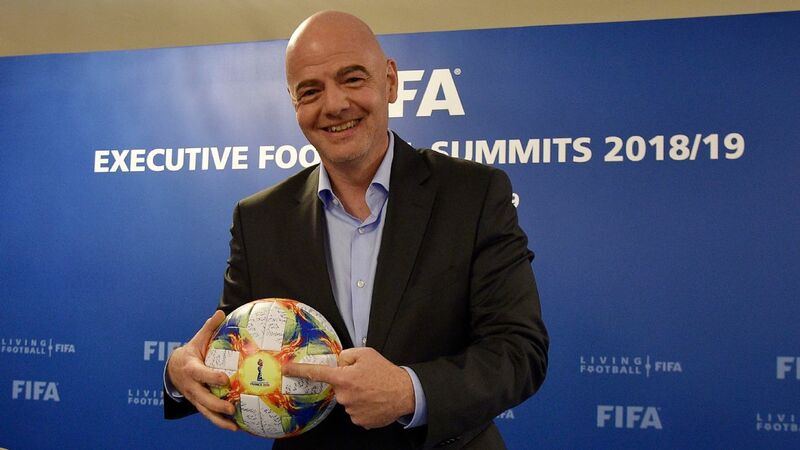 Wherever you might stand, bear in mind there are a ton of other factors to consider, from alternative candidates to whether a director of football is finally appointed (and who that is) and if the "ABJ" ("Anyone But Jose") vibe among the squad is actually a thing. What is evident, though, is that United's front line looks secure with Marcus Rashford at center-forward. 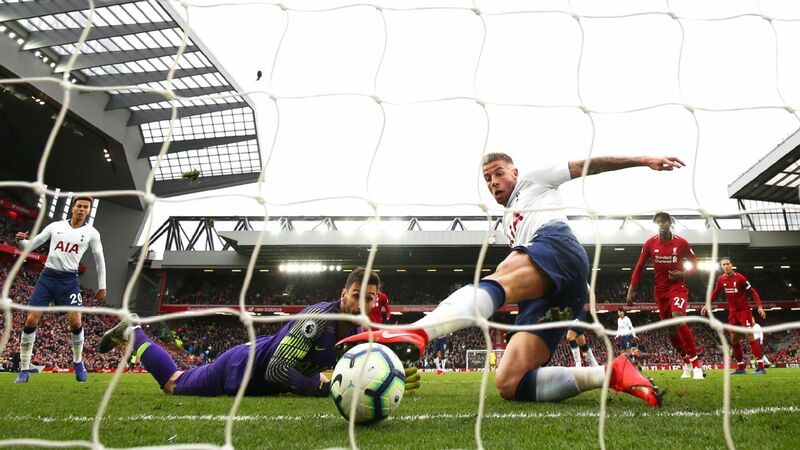 He has six goals in eight starts since Solskjaer took over and has operated both on his own and in a front two, pretty much with equal productivity. 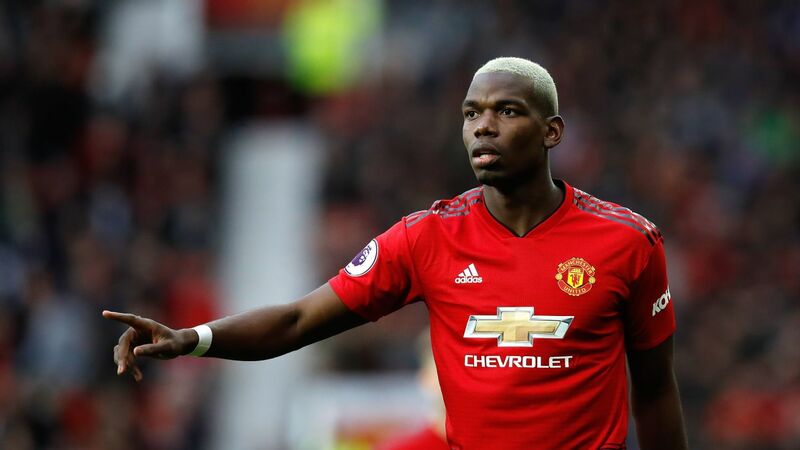 While it is remarkable how far a little bit of faith in a gifted youngster can go -- especially if he has Rashford's gifts and attitude -- one of the club's challenges will be figuring out what and how Romelu Lukaku and Alexis Sanchez can contribute. Sanchez was poor in the 1-0 win at Leicester, while Lukaku has been in and out of the lineup. United are on the hook for both through 2022, and their wages make them difficult to shift, particularly 30-year-old Sanchez (Lukaku is five years younger). 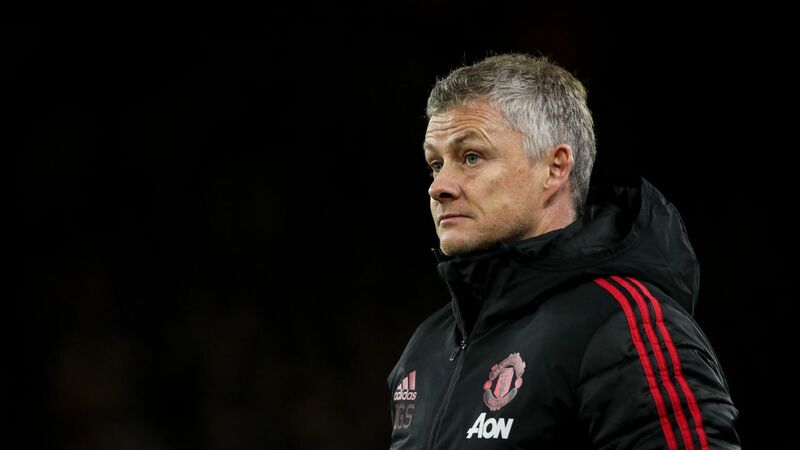 If Solskjaer can regenerate those two as well, he will only strengthen his case to stay on. Paris Saint-Germain lost their first league game of the season, falling 2-1 at Lyon. It was the sort of defeat for which you can budget: Lyon are third and are through to the knockout round of the Champions League (lest we forget, they won at Manchester City in September), while Nabil Fekir and Memphis Depay match up well against the PSG defence. Meanwhile, new signing Leandro Paredes only played the last 10 minutes, Marco Verratti is still injured -- his absence proving again that against grown-up teams you need real midfielders, not stand-ins -- while Neymar is out until April. Even then, you could argue this game came down to the goalkeepers: Lyon's Anthony Lopes made some great saves, Alphonse Areola did not. PSG's Ligue 1 lead still stands at 10 points, but the novelty of winning the domestic title wore off some time back. Hearts and minds will be on the clash with Manchester United in the Champions League last 16 and, if they get through and get Neymar back, whatever comes next. As mentioned above, Atletico at Real Betis. 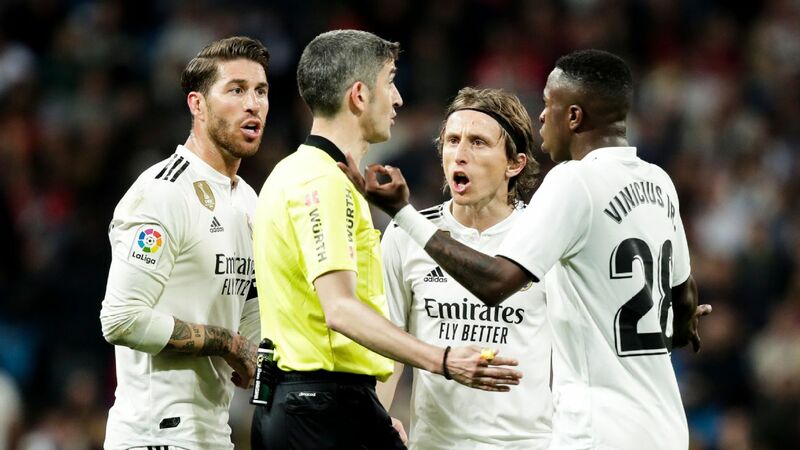 While there is no shame in losing to a Quique Setien side on the road, the fact that they failed to capitalize in a match where the opposition were clearly looking ahead to the Copa del Rey semifinal against Villarreal ought to be worrying. Once again, it was the Antoine Griezmann show, except his supporting cast of Thomas Lemar, Angel Correa and Alvaro Morata, who was making his debut failed to contribute much. Write Atletico off at your peril, as ever, but it does feel as if they simply do not have another level. If Griezmann does not make things happen or they do not conjure up a set piece from somewhere, there is only so far they can go. 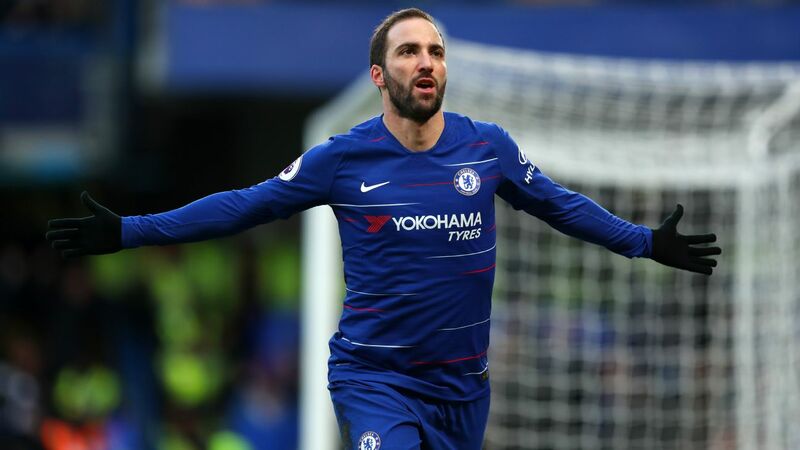 Gonzalo Higuain scored his first Chelsea goals in the 5-0 thrashing of Huddersfield. 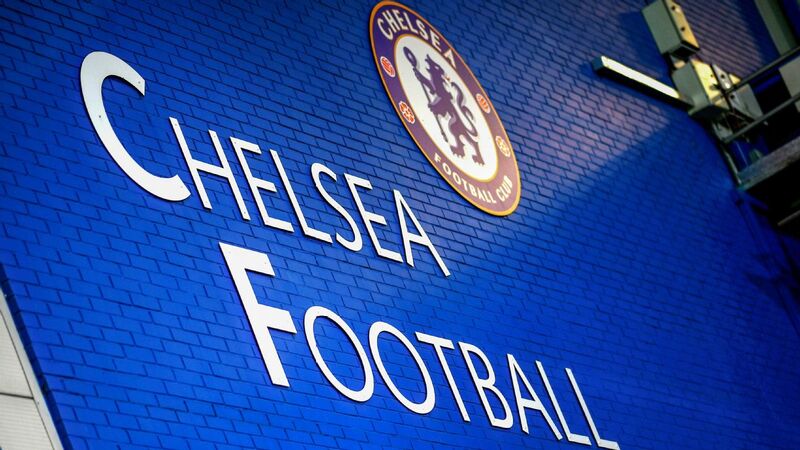 A win, even a 5-0 win, against the Premier League's cellar dwellers with a new manager in charge is not going to be a reliable bellwether in determining whether Maurizio Sarri's first season at Chelsea will be a success (or even whether it will be his last). Those who never quite "got" Gonzalo Higuain may have had their eyes opened. The movement for his first goal and the way he struck his second are the sort of things very few center-forwards can pull off with any kind of consistency. Those who have worked with him say he can be a "moody" player. 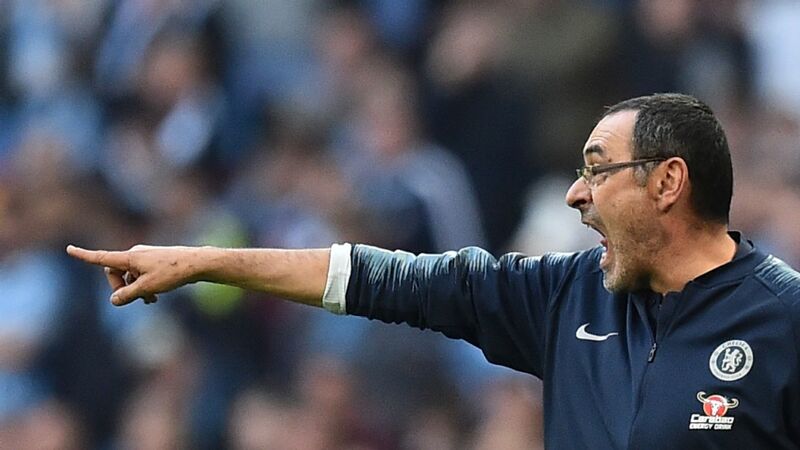 Well, that was Higuain in the mood, and Sarri's future hinges in large part upon keeping the Argentina striker in that "mood" and developing the telepathy that he and Eden Hazard showed on Saturday. Just as it appeared that Bayern Munich might have gathered some momentum, with five straight Bundesliga wins, they come back to earth against Bayer Leverkusen. 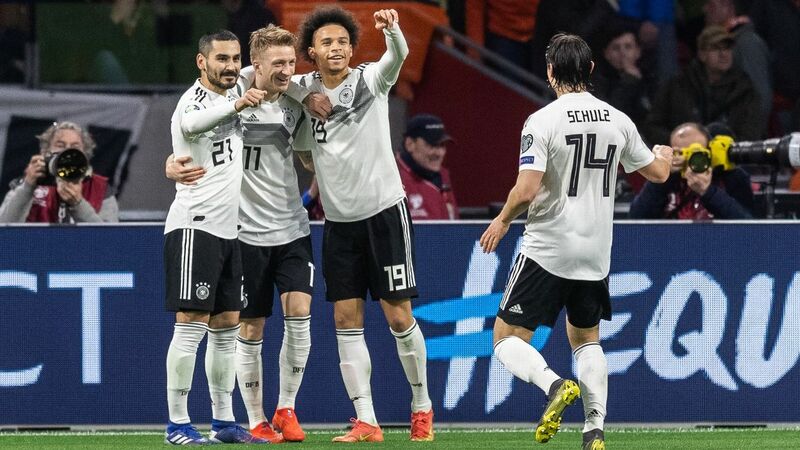 It is not so much a function of the 3-1 score, it is the way the defeat came about: Bayern took the lead and could have made it two, but then stopped functioning in the second half. You wonder about Niko Kovac and the way he deals with injuries and absentees. The less we see of Thomas Muller out wide at this stage of his career, the better. Moving Joshua Kimmich inside when you have Javi Martinez seems needless. And James Rodriguez continues to disappoint. The gap to Bundesliga leaders Borussia Dortmund is seven points, and Bayern have slipped into third on goal difference. At some point, you would expect them to, quite rightly, put all their eggs in the Champions' League basket. Some of Inter's recent woes have been beyond their control, but others were self-inflicted, and it is grating to see how much off-pitch nonsense regularly engulfs the club. Just consider their three highest-paid players: Mauro Icardi (stalled contract negotiation), Ivan Perisic (putrid performances followed by an attempt to force a move on Deadline Day) and Radja Nainggolan (too many injuries, too much partying, suspended by the club then brought back and clearly unfit). The arrival of Beppe Marotta as chief executive is meant to fix these situations (to be fair, he inherited them), but you get the sense the wheels are coming off in the meantime. 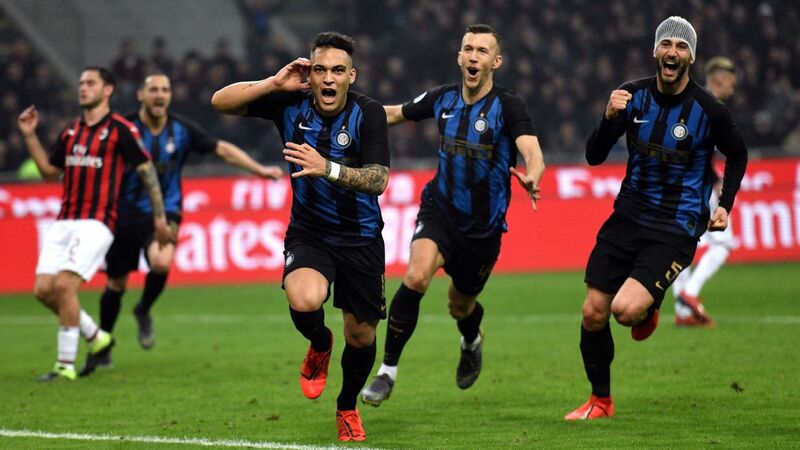 On Sunday, Inter lost 1-0 to Bologna, who are in the relegation zone and had not won away since 2017. Moreover, the performance, which culminated in 6-foot-5 center-back Andrea Ranocchia being sent on as a target man, was worse than the result. "If you don't get results, you get fired," is how manager Luciano Spalletti summed things up. He has made a host of mistakes this season, but statements like that are not helpful and you do not want to hear talk of him throwing in the towel. For all their issues, Inter are third in Serie A and have the Europa League to try to win. 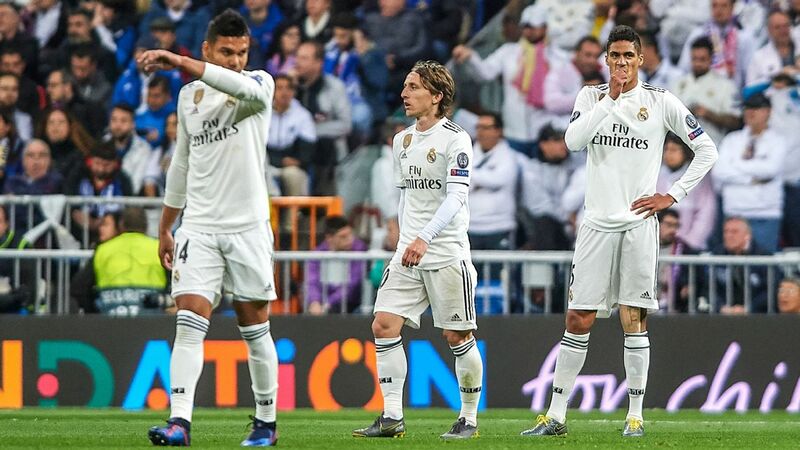 Real Madrid have won five straight games in all competitions after seeing off Alaves, who are starting to fall away after starting the season brightly. Beyond the results, though, what is most encouraging for those at the Bernabeu is that Karim Benzema is showing again he can be the center-forward he once was. He opened the scoring on Sunday and helped relieve pressure, holding up the ball and linking well with Vinicius Junior. Benzema has scored in four consecutive games and is up to 18 for the season. Indeed, with Cristiano Ronaldo gone and Gareth Bale sputtering (other than a second-half effort on goal, he did little vs. Alaves), he may soon be the sole survivor of the BBC. 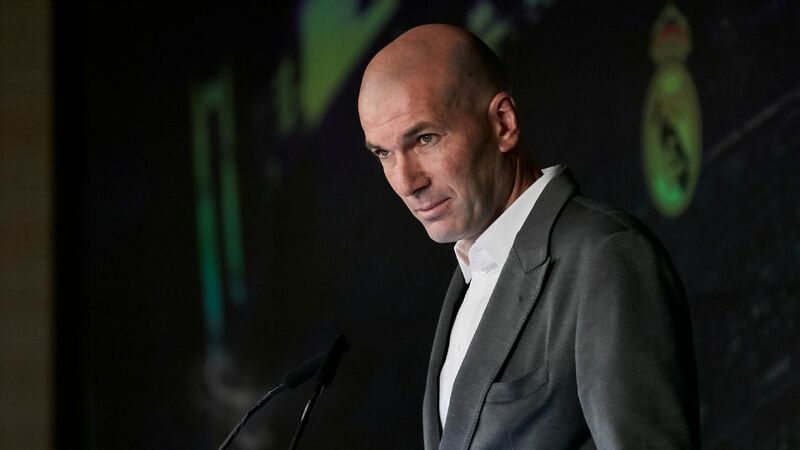 Also encouraging was seeing Real Madrid's discipline and how some of the squad players -- Alvaro Odriozola, but also Dani Ceballos, deputising for Toni Kroos -- are contributing. Next is a Copa del Rey Clasico; could it be the launchpad to jumpstart Madrid's season and cup runs at home and in the Champions' League? Santi Solari will hope so. Napoli's 3-0 win over Sampdoria was the right way to bounce back from a pair of scoreless displays against Milan in the league and cup, but the result was also tinged with sadness, amid news that Marek Hamsik is on his way to China to join Dalian Yifang. The club was brutally honest in handling his departure. After 11 and a half seasons, 520 appearances and 121 goals -- both club records -- Hamsik had served his time with honour, loyalty and productivity; Napoli were not going to stand in his way if he wanted a final paycheck (as much as $20 million a season if reports are to be believed). From their perspective, it makes sense. The fee -- $17m rising to $23m with bonuses -- is more than reasonable for a guy who will be 32 next season and whose impact had diminished this season. What's more, with Allan, Piotr Zielinski, Fabian Ruiz and Amadou Diawara, they have enough cover in the middle of the park. Bas Dost scored late for Sporting in their 4-2 home defeat to Benfica, which leaves them them fourth in the Portuguese league. Despite missing 10 weeks of the season, Dost nevertheless has 12 goals in 14 league appearances. In all competitions, he has 18 in 22.